The Hellenistic-style atrium has a gallery with Ionic columns closed off with a stucco lined tracery screen on three sides while it is left open to the east. When the house was sub-divided, the tracery screen was partially filled in so that the upper level could be partitioned off as a separate apartment. 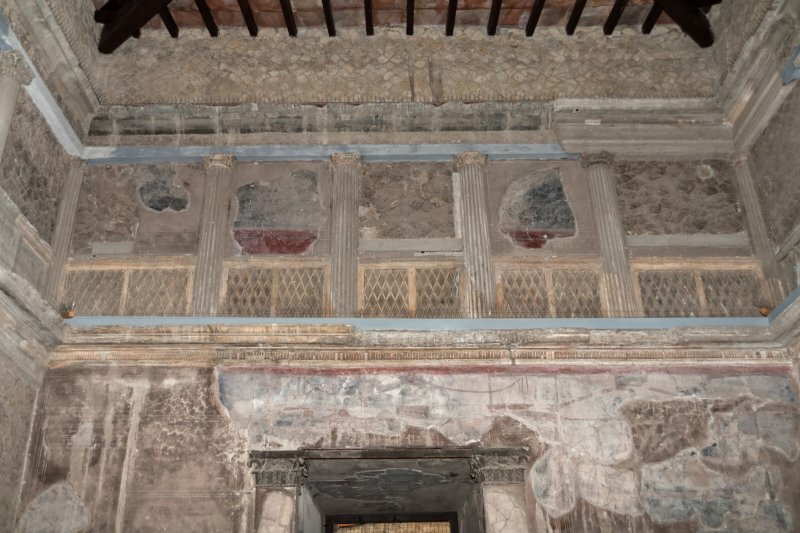 The atrium is decorated in the fourth style, with a central marble impluvium.